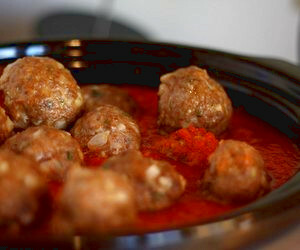 To say meatball is to say albondigas soup, and to say albondigas is to say Spanish albondigas, as it was the Spaniards of Al-Andalus who, back in the fifteenth century, after several centuries permeating the Spanish cuisine with the rich influences of Arab cuisine, then spread the albondigas recipe throughout Europe, and then later to the rest of the world. 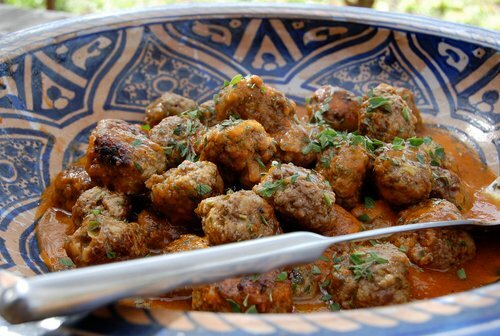 Albondigas are a way of preparing ground meat into balls the approximate size of a walnut, bathed in a creamy sauce. 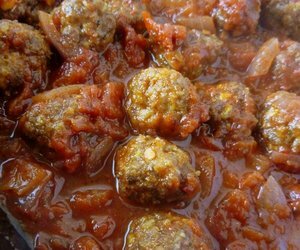 The original recipe didn’t allow pork, but today there’s no such thing as a unique recipe for albondigas, so you can use all types of meat, as well as multiple sauces that usually accompany them. However, Mexican meatball soup concentrates all the features that everyone expects to find into a delicious plate of albondigas. And Mexican cuisine, a mix of the existing pre-Columbian base mingled with the influences of Spanish cuisine, often offers a clear enrichment of original recipes. That’s why, leaving aside history, it seems fair to refer to Mexican meatballs in sauce as the authentic albondigas soup. 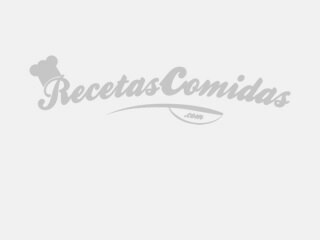 Therefore, the Mexican albondigas recipe that you are about to enjoy is simply a version with some peculiarities of the many albondigas soup recipes eaten daily in every corner of Spain. Don’t miss it, it's delicious! There are plenty of meatball soup recipes, but with this one you’ll be able to make authentic albondigas: tasty, juicy and irresistible. It’s real easy! To make the meatballs, start by putting the bread in the glass of milk. In a large bowl, beat the egg and add the remaining ingredients: ground beef, finely chopped garlic, bread and milk, pepper, parsley and salt. Stir first with a spoon and then with your hands until well mixed. Take small portions of mixture with a spoon, and turn them into meatballs by rolling them between your hands. Dust them in flour. When you have all your meatballs, heat a tablespoon of oil in a pan, add the meatballs, and brown them on all sides. Remove and keep to one side. In the same pan, add 2 more tablespoons of vegetable oil and add the onion, garlic and finely chopped pepper. Sauté over medium heat for 7 minutes. Add the tomatoes, chopped and without skin, and fry for 2 minutes. Pour in the white wine and turn up the heat to high for 1 minute. Then add the broth, Tabasco and salt, stir and simmer. Add the meatballs to the pan with the sauce, cover and let the meat cook for 30 minutes. Flip them over after 15 minutes. After this time, uncover and add the chopped cilantro. The sauce for Mexican meatball soup that is described in this recipe is very rich and tasty, but if you want to use seasonal ingredients to give personality to the sauce, you should feel free to add (always diced) squash, zucchini, cucumber, eggplant, carrots, etc. Typically, serve the albondigas soup with rice or with rice and beans. It can also be served with some fried potatoes cut into cubes. In any case, an authentic albondigas soup must always be hot when it gets to the table. As you can see, this recipe for albondigas soup incorporates some spicy touches which are easy to remove if you’re cooking for children. To do this, you just need to pick a pepper that’s not hot and dispense with the Tabasco sauce. If you want your dish to be an authentic albondigas soup in true Mexican style, in addition to the rice you have to serve it with traditional corn tortillas on the side. If not, make homemade bread and serve it instead of the tortillas, and dip it into the albóndigas sauce. It's delicious! If you love meatballs with a passion, it's best to keep all these albondigas soup recipes in a safe place, to try each one with different types of meats and sauces when making albondigas. Enjoy!